We have stayed at this hotel before without our children before and it was great. My children like to swim and the pool is very small, only 5 persons permitted at one time. This time when we stayed, they had a group of softball players, and the pool was overloaded and very loud. Other than that it was great as always. The rooms were very nice, comfortable and clean as always. We travel with teenage children, the pool is too small. 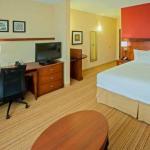 This hotel is very well situated located within walking distance to a variety of eateries and movie theaters. Very friendly staff and super service. Very clean, fast check-in & out. Breakfast buffet was great! The pool had a Family of 6 children in it entire time, two nights we were there. The smoke free Courtyard Louisville Northeast is the perfect place to stay when you're visiting the Louisville, Kentucky. Whether you're in town for business or for pleasure, you're sure to be pleased with the service, location and amenities offered by the Courtyard. 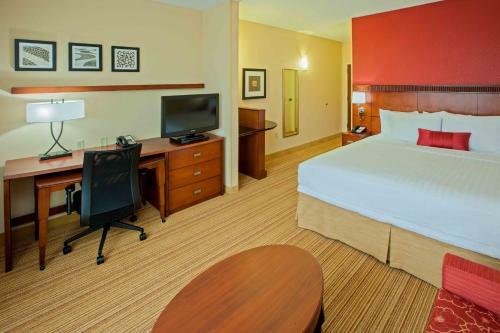 Conveniently located near the areas most popular attractions and landmarks, this hotel gives guests easy access to the Churchill Downs, Downtown Louisville, E.P. Tom Sawyer State Park, Ford Louisville Truck Plant, Louisville Slugger Stadium, Six Flags Kentucky Kingdom, Summit Mall, 4th Street Live, Muhammad Ali Center, and the Louisville Zoo. Golfers appreciate the close proximity to the Indian Springs Golf Club, Nevel Meade, Covered Bridge Golf Club, Quail Chase and the Persimmon Ridge Golf Club. There are also plenty of resources for outdoor recreation nearby. The Courtyard Louisville Northeast features rooms with air conditioning, alarm clocks, coffee makers and tea service, cribs for babies, electrical adapters, and individual climate control. Guests enjoy the Luxury bedding, which includes crisp linens, thick mattresses, custom comforters and fluffy down pillows, or hypo-allergenic foam. Take some time during your stay at the Courtyard Louisville Northeast to relax in the indoor whirlpool or refresh in the indoor swimming pool or work out in the on-site fitness center. Rise & shine in the morning to a delicious hot breakfast buffet in the Courtyard Cafe. 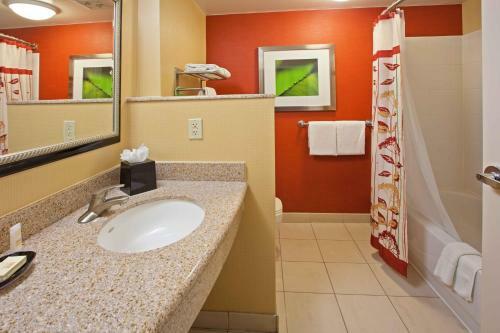 Business travelers appreciate the full service Business Center featuring copy and fax machines, and large well-lit work desks with plenty of electrical outlet spaces and high speed wireless internet access throughout the hotel. There is complimentary coffee and tea in each room as well as in the lobby. I would definitely recommend the Courtyard Louisville Northeast. Online reviewers had plenty of good things to say about this location. Guests thought they received an excellent value for their dollar and were extremely happy with the level of hospitality and service given by the staff. Guests felt welcome and cared for. Guests also enjoyed the fact that they were so close to the local attractions and were glad to have so many dining options in such a close proximity. Guests also enjoyed the delicious breakfast.